The truth is, we all do it. We take one look at something or someone and form an opinion, be it negative or positive, based solely on what we see. Although used by all, this method of selection is quite flawed, and because of it many have overlooked treasures of incalculable worth. Like gold nuggets in the mud, beauty is often hidden beneath a cloak of unsightliness. It happened to me when I approached a dirty sunburned homeless man, expecting slurred speech and irrational thoughts. To my surprise, I found a soft-spoken and articulate intellectual. It happened to me when I pulled into the littered and unkempt parking lot of a dingy shack, displaying a faded crooked sign that read “Ant qu s”. I almost left, but opted to stay, expecting to find a rusty foul-smelling collection of junk. Instead, I found an orderly display of priceless heirlooms. Take my torn and tattered collection of old books, for example. At first glance and to the untrained eye, they appear to be of no worth at all. The pages are yellow, the bindings and covers torn and creased, but it’s in the skillfully worded sentences and paragraphs that their true value lies; stories so beautifully told you can almost taste, smell, and see every detail. Although space is limited in our home, the books are simply too precious for us to discard. As you can see in the picture below, some of them are in very poor condition. All six of these books I've kept since my childhood and I cannot express what a thrill it has been for me to read them aloud to my own children. Because these books are so near and dear to my heart, I did not want to stash them away somewhere or hide them behind cabinet doors. I wanted to display them in a way that would reflect their importance and also our family's passion and love for reading. The bookcase we chose to tackle first was the one in our bedroom, since that is the room we've been working on completing for a while now. This bookcase has all the children's chapter books, my husbands resource/study books, and the majority of my books. Here is the bookcase as it looked before we began our makeover. (all the picture books were moved to the kids' room) If you have not already done so, I’d like to invite you to read a previous post, “Confessions of a Bookworm”, so you can better understand the following project. We began our bookcase makeover by removing all the books and knickknacks, focusing our attention on the bookcase itself. (Actually two bookcases joined to become one) These Ikea bookcases were handed down to me by my sister (check out her blog The Pear Tree Cottage here). They were taken apart and stored in my garage in Texas for a while before we moved, then transported 1,600 miles to New Jersey in a tightly packed Uhaul truck. They were in serious need of some TLC. The particle board backing, which was suppose to be nailed with small nails to the middle shelf, had been nailed so many times it would no longer hold up. Not only did it not hold up, but the numerous attempts to nail it had left unsightly holes. We gave up on the nails altogether, aligned the boards, and used a staple gun to secure the backing instead. After the backing was secured we used caulk to cover the holes left behind by the numerous nailing attempts. Once the backing was secured and the holes sealed, we were ready to choose a paint color for the inside/back of the bookcase. A sandy tan that would match our bedding and pillows was what we had in mind. We purchased a paint sample at Home Depot (the lighter color in the pic below) and painted a few strokes on the bookcase, along with the color we used in our kitchen, to see which one we felt would look the best. The lighter color was unanimously voted upon. Once we were finished with the bookcase itself, we were able to move on to the books. As I mentioned in this post, one of the things we wanted to change was how colorful and busy the bookcase looked. In our bedroom, we are going for what I call a cool and crisp look. Simple, clean, and bright. It was clear to us that the rainbow effect created by the colorful book bindings was making it impossible for us to achieve this overall look. Add to that the less than appealing appearance of some of the books and we had a real challenge on our hands. After much discussion and deliberation, a rather unorthodox solution was decided upon. We would cover all the books, making our own book covers with white paper and printing the titles on the binding. After the books were covered, we were able to move on to the fun part, collecting and arranging the accent pieces that would be displayed along with the books. This being our bedroom, we wanted a few pieces that would tell a story about our relationship and our family. I also wanted to include a few DIY crafts I'd worked on to give the bookcase that personalized and unique feel. Due to our restricted budget, the majority of the items were purchased secondhand at a nearby thrift store. So, without further ado, before and after pics of our new and improve bookcase! You may notice that the books are not very evenly distributed, that the bottom shelves have more books than the top shelves. The thing is, I like the way the shelves look when they are not overly crowded with books, but we have a lot of books Due to the layout of our room, the bottom shelves can only be seen if you stand right in front of the window, so I decided early on that I wanted the bulk of the books to go on the bottom shelves. Now for a quick shelf by shelf breakdown. Top two shelves on the left: Plant pot Valentine's Day gift from hubby purchased at HomeGoods, House plant HomeDepot $3.99, Picture frame IkeaVirserum Frame $2.99, Picture inside the frame post card of Cancun, Mexico from our honeymoon, Woven tray thrift store find $1.41, Wooden number 14 commemorating the day we became boyfriend and girlfriend March 14, 1996 read our love story here -craft store purchase $.49 each. Top two shelves on the right: Felt wreath made by me- tutorial to come soon $10, Wooden chair JoAnn's $7.99, Wooden "Shaker Seed Co." sign thrift store $.99, Glass bottle thrift store $.69, Candles Ikea Jubla candles left over from previous project, Tin bucket Target $.99. Forth self on the right side: Letter M craft store $1.99 with added texture by me tutorial soon to come, Picture frame Ribba from Ikea $19.99, Print inside frame printed on our computer, MapQuest map with highlighted path from Houston (where my hubby lived while we were dating) to Fort Worth (where I lived). We had a long distance relationship and this 4 hour trip was much traveled by the two of us, Plant and Pot Ikea $5, Crystal candle holder wedding gift, Candle already owned. Fifth shelf on the right: Round frame with real pressed flowers thrift store already owned for many years. Fourth Shelf on the left: Tray with number 3 for our three children tray purchased at thrift store and then transformed by me, tutorial to come soon tray $1.61 number $1.99 paint, $2.94, Shell from this trip down the shore on Mother's Day. One last look for your viewing pleasure. 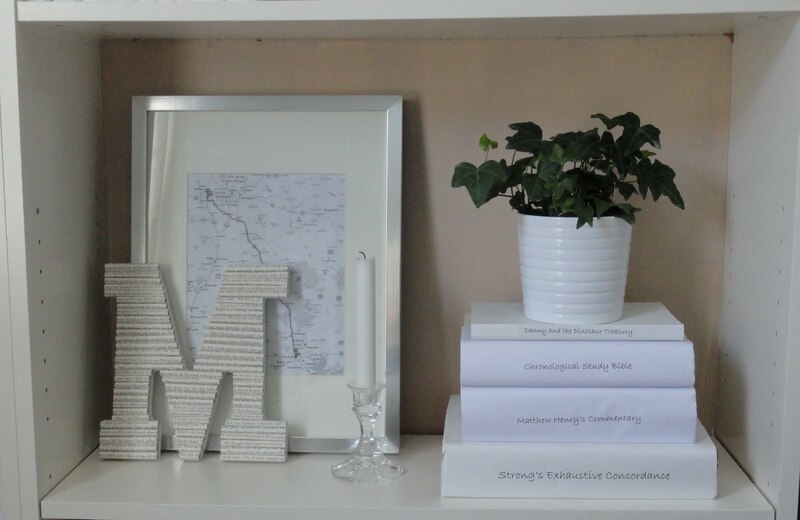 If you like the covered books and wish to tackle this kind of project in your own home, I've written up a very detailed step-by-step tutorial on how I accomplished this tedious and time consuming, yet exceedingly rewarding task. Check out that tutorial HERE. Interested in knowing how to texture a wooden letter with rolled up book pages, like the letter "M" below? Check out a detailed tutorial HERE. I'll be sharing this tutorial soon. If you'd like to be notified immediately when I post, simply scroll on over to the side bar and follow this blog. I'd be honored to have you. To check out all the amazing blog parties I've joined, click here. I love it! Those book titles do not look anything like my handwriting would look... Care to share? I'm impressed with your commitment to this project. Very impressed! Looks great. Oh my goodness Stacy! That looks absolutely gorgeous! Like something out of a magazine and definitely "cool and crisp". :-) I think you guys did an incredible job and I love it. Thanks so much for sharing this at Inspiration Friday! I absolutely love how this turned out. It's gorgeous, and I can't wait till the wreath tutorial is posted! Please stop by www.laughloveandcraft.com and link up to my Share the Wealth Wednesday Link Party! I'm your newest follower! that is FANTASTIC! i love the cool, simple, airy, color scheme. i love the pops of blue, and the layering of the map/initial/candle. job extremely well done! look at you girl! This is so creative, I love everything about it. That M is adorable too. 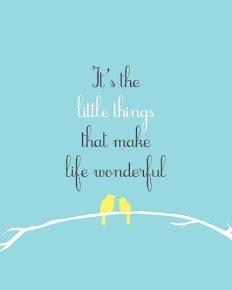 thanks so much for sharing with the blog party, what great inspiration. 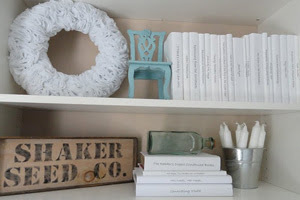 I love how simple and very elegant your bookcase makeover is. I generally like color, but this is pure elegance. Also love that monogram M makeover. What an awesome transformation! I love the colors and their calming effect on the room. What a great way to arrange the books. Thank you for sharing. Can't wait for all the tutorials! Great job! The color is beautiful, the book covers look super smart -- lovely print. Wow! Your bookcase is so beautiful now. I would never have thought to cover the well-loved and well-worn books with paper covers. Looking forward to the tutorials. Your bookcase is absolutely gorgeous!! I love the coloring and actually for work I've been looking to cover old books for a display and instead of using vinyl I really prefer your method...again great job!! that looks soo awesome!! i love how you made all of the books white! never would have thought about that! im in love with this! it looks so open and crisp now! So gorgeous!! I love all of the little details and the blue looks fabulous for a punch of color! Amazing job! I will be doing this and letting you know how it goes. Come over and see some reupholstery. Wow, that is an amazing makeover! The after looks so unified and clean, so easy on the eyes. BTW, you write beautifully. Are you a writer or author? 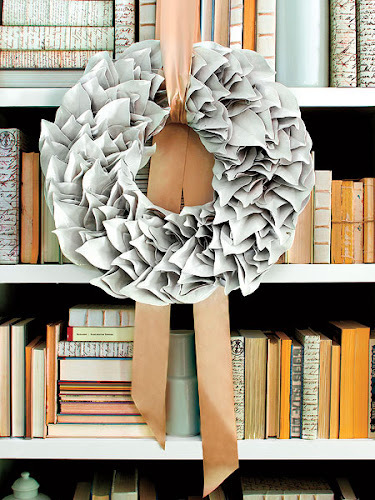 I love the transformation and would love to see the tutorials on the wreath and the book covers! I have a really large bookcase in our office and would love to tone it down a bit by recovering all the books in white! Thanks for sharing! It looks absolutely stunning! a beautiful transformation indeed! I loved so many of your accent pieces- the blue chair, the M and the bottles, to name few. love what you did with the shelves! the book covers are a great idea and love the touches of aqua. stopping by from a beach cottage. awesome job....i've been wanting to cover books for a while now and you've inspired me to do so! i'll be featuring your bookshelf on friday! So glad to have found your blog. It looks wonderful! I can't wait to see your book tutorial. We're bookworms around here too, and this has been one of my complaints. The book colors just don't work with the rest of the room. great job! this esp. makes sense to me since it's in a bedroom and the energy from color and stuff can be too much in a room you want to be restful. Absolutely Beautiful. The finished product looks well woth all of the time you spent covering books. I am seriously loving the "M" and can't wait for the tutorial. I am going to Follow you right now. this post makes me happy in so many ways. your bookcase before and after is simply stunning. love everything you did! the colors, the wreath, AND you made one of my "book letters"!!! this made me smile so very big, absolutely love it, it came out great! im sure you are going to smile so big every time your eye catches a glimpse of your bookcase, its a beauty! VERY well done - the bookcase looks fantastic! Oh my gosh! this is a stunning transformation! I have the same book cases but in black and yes, it looks too colorful because of the different books, I will try and attempt transforming my books, don't know when though, I have lots of things to transform now, but in the near future. I loved your transformation, new happy follower here! Wow. wow, wow, wow. That is fabulous. We have Many MANY books and I've often wondered what to do exactly to make it all look better and not stuffy. We just barely moved and all the books are sitting in the boxes and while I dearly love my books, the empty-ness of our shelves is so nice and calm, as are your re-done shelves. I've been DEEPLY inspired. :) thank you. What an amazing makeover! It looks gorgeous! Coming over from Common Ground and your newest follower! This is absolutely amazing. Beside the fact that that this bookcase is absolutely fabulous and gorgeous, the amount of work you put into it was worth the results (Covering the books alone). I will never look at my bookcases the same again. AMAZING! This is beautifully stunning. WOW. Great job! Can't wait to see the step by step tutorials! Just a quick note to say that I've featured this today at Recognition Day Thursday. Thanks for linking up at the Creative Bloggers' Party & Hop. Genius AND beautiful!! I featured you today in my Friday I'm in Love Favorites. Check it out! Amazing! I love how you covered all the books to match and make the shelf look built in. Very creative thank you for sharing on my party. I love it! Thanks for linking up to "It's a Party"! I absolutely LOVE it! 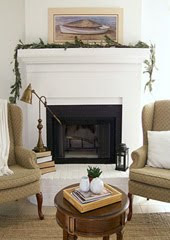 I'll be featuring you (on my blog as well as Tip Junkie Decorate)! That looks amazing, just a beautiful transformation. I'm a new follower, I love this so much. An absolutely beautiful, thoughtfully executed, awesomely displayed bookshelf. I am inspired and in love. Okay, I'm coming back because I want to learn all of the tutorials you mentioned. What a great post! You did an amazing job styling your bookcases. I just love all of the covers on your books. Can wait to see your tutorials....loving the wreath that you made. I LOVE THIS! I actually started covering all my book bindings with a gum tape, but sorta freaked out and stopped, and now I am loving yours! 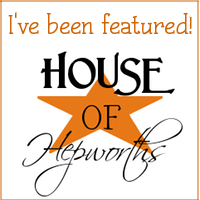 Anyway, I would love to invite you to do a guest post about this at Remodelaholic. If you are interested please let me know and I will get you all the details! Found you through The Stories of A to Z feature. As another bibliophile, I am inspired to tackle the daunting task of bookcase styling! I await your tutorial on the book covers with interest. Count me as a new follower. Thanks for sharing! Seriously So BEAUTIFUL! I featured it on my blog tonight. Absolutely awesome! I just love how you incorporated your life and relationship into your bookcase. I will definitely be using some of your ideas in my bookcase project! I can't wait to get the tutorial on how you covered the books. Did you use a special software program? This whole post is amazing!!! I am so uber impressed with your book case transformation! WOW one of the best before and afters I have seen in a long time! New here, found you through stories from A to Z, and am your newest follower...you won me over! 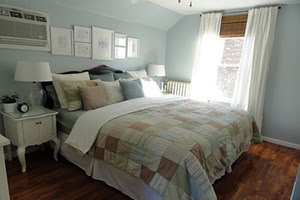 A blog about the building of our new home and my love for decor and design....great job here!! Fabulous job! I appreciate the before and after pictures. I thought they looked great before, but the after is outstanding. I never would have thought white was so classy in a bookcase! It looks Amazing!!! I'll be adding this to my inspiration board on my "bookcases board" on Pinterest and trying to replicate it on my bookcases! That turned out great! I'll be following to see the how-to's! Great blog! That turned out amazing! 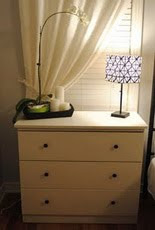 I have been debating what to do with the dark wood shelves in my family room and this would brighten it up dramatically. Thank you for sharing and inspiring. Great post! Love your blog and will now follow. Can't wait for the tutorials! Great makeover! My colorful books are envious of your matching ones! Visiting from the Blog Party. I am litterally in LOVE with these! 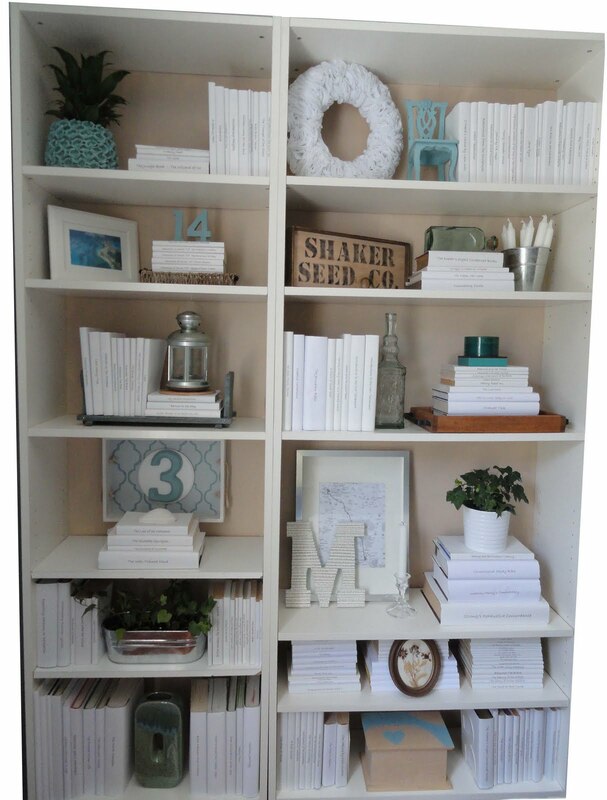 I have been gearing up to redo our bookshelves in our living room for awhile and have been wanting to do all white with pops of turquoise (since turquoise is the main color in our living room). Can I just transport this into my living room? Love it! Now I'm totally motivated to go tackle my bookshelf! Thanks for the inspiration and I am certainly following you now to see what is next! Stunning bookcase!! It is truly a showpiece instead of an eye sore like mine is :( The idea of covering the books is absolutely wonderful. This project is definitely going on my list!! Your bookcase transformation is absolutely fabulous! I will have to totally agree with the quote by Dahl. Very nicely done! 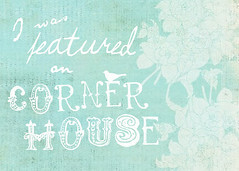 Thanks for linking it to Home Sweet Home! Hey! 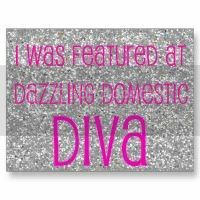 I found your blog from House Of Grace! I am now following your blog, let me just say WOW! Your bookshelf looks AMAZING! seriously. I love it! Great job! Love it! You've inspired me, hoping to apply some of your ideas, I'll be back for the tutorials! such a fabulous transformation!! I may just have to do this to our bookshelves (if DH lets me cover his prized book collection hehe) thanks so much for the inspiration! can't wait to see the tutorials! Feel free to stop by and grab a button!! AMAZING!!! I have blogged before about my dearly beloved books which live behind a closet door. This is such a wonderful bookshelf. Your creativity and style are both amazing. I saw this on Inspiration Friday. I can't wait to look around some more. Impressive!! Love the new clean look. Hope you will join my weekly party sometime. Visiting from The Picket Fence. Beautiful job on your bookshelves! I'm loving the M--looking forward to the tutorial. I am so happy to have found this post - although I should have read it BEFORE I spent my morning redoing several bookshelves in my foyer. I did keep all my colors, making sure not to have too many of one color too close together, but I should go back and cover protect my ancient bookcovers. I have to go back and click on a couple pictures again for a larger look. How totally fun . . . I have a collection of the Companion Library double-sided books that my mother bought when I was a child. Now I'm reading them to my half dozen. (We homeschool, too. ;o) I've never seen anyone else who has these books . . . I love them! And I love those covers. I think I'm going to take that on, with some pretty paper. What a way to bring in a big block of soothing color in a white-walled rental, eh? Thanks so much for the inspiration photos! Saw this project over at Remodelaholic this morning. You really did a great job. Such a clever idea how you covered all the books to match. I am your latest follower. Hope you will stop by and say hi. I host a link party each week that opens on Tuesdays at 8pm EST. Would love for you to link up. I'm a newbie here..(2 days old), do check out my blog whenu have time..(ever???) lol .do let me know what u think..
God bless ur family and ur ministry..
Unifying all the books makes such an impact! I also love the unison with your accent pieces and added textures throughout. Inspiring! I really love the slick and clean look you achieved ! I started to do the same with my own bookcase (except in Noteworthy font). If I ever get enough patience, I may do the same for my DVD-case which is far bigger. Thanx for the inspiration. Ruffle Pillow by Jones Design Co. Painted Wallpaper by Jones Design Co.